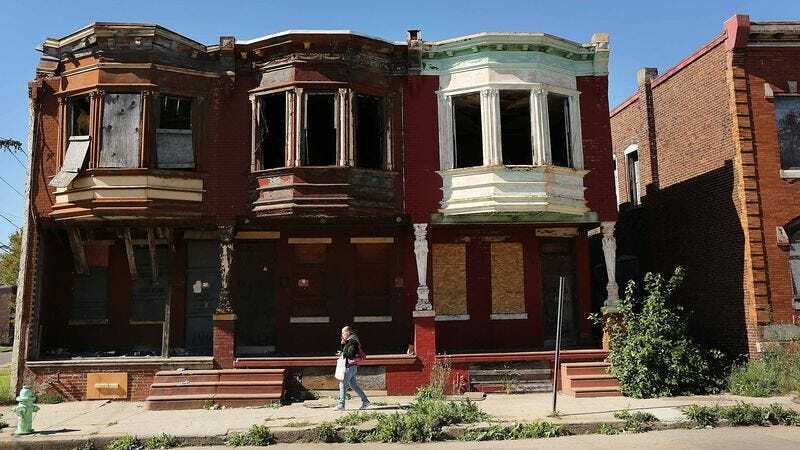 CAMDEN, NJ—Saying they were fed up with the numerous challenges stemming from their city’s extensive urban decay, Camden, NJ residents confirmed Wednesday that they would love to just skip to the part where they get a hip, revitalized restaurant scene. “I realize that these boarded-up storefronts and abandoned factories might be turned into trendy cafés and bistros someday down the line, but I think most of us would be pretty thrilled if we just went ahead and got to that stage right now,” said resident George Pierson, noting that he is fully willing to bypass Camden’s endemic crime, rampant drug abuse, and high unemployment rate in order to jump right to the point when he and the city’s other occupants can enjoy dozens of farm-to-table gastropubs. “Sure, we’ll eventually see lobster roll stands and high-end noodle bars popping up on every corner, but that could take years or even decades. Let’s just skim over all the gang turf disputes and burnt-out streetlights and go straight to blocks lined with stores specializing in key lime pies, locally sourced butcher shops, and gourmet empanada places. That honestly seems like the way to go.” Camden residents also told reporters they would like the city’s accelerated revitalization process to then stop just before they are priced out of their current apartments.